« De-ghetto-ify your Windows XP! My Zune 80 makes me sad. Why do you do this to me, Zune? Haven’t I heaped praise upon you? Haven’t I wiped your screen clean? Haven’t I kept you safely and securely in my pocket? Haven’t I charged you fully when you required it, with n’ery a thought of the electricity bill that I would incur? Why do you show me 50% battery life left, and then turn off? Why does the Zune “support” team have NO IDEA what I’m talking about? Why is this now happening on my 2nd Zune device? Why do you mock me, Zune? It appears that this battery issue has been resolved by the latest 3.0 firmware update for the Zune devices. 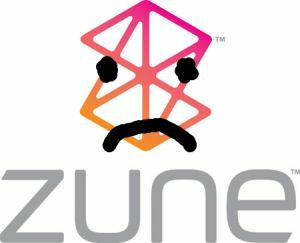 Basically, I returned a non-defective Zune because the Zune support team couldn’t atleast muster the phrase “why don’t you wait until the upcoming firmware release”. Anyhow. I’m glad it’s resolved now, so I can get back to being all lovey-dovey with my Zune! I seem to remember somebody once telling me that as much as Bill Gates makes in one second, if he dropped a $100 bill, it wouldn’t be worth his time to pick it up. Bang down his door, shake him til all his $100 bills fall to the ground and demand that he buys you a brand new Zune! Do it quickly though before his jewel-encrusted golden robot guards come to get you. Touche, and I guess you don’t even need to resort to violence, he probably uses brand new Zunes as paperweights at this point! 😛 He probably wouldn’t even notice.